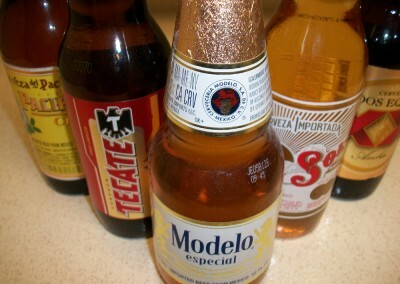 Here’s what I have in store for tonight, Pacifco Clara, Tecate, Model Especial, Sol (my favorite of the bunch) and Dos Equis. The absence of any Corona related products, isn’t an accident. What beers are you drinking today? I'm a former coffee blogger, but I’ve been getting to know some really good craft beers and really getting into home brewing. I couldn’t resist starting this little project called Passion For The Pint. When I’m not blogging about coffee or beer, you can find me exploring New Orleans’ wide range of eateries, rooting for the New York Yankees (don’t hate me, I’m originally from New York), working out to burn off the beer calories or reading about beer.